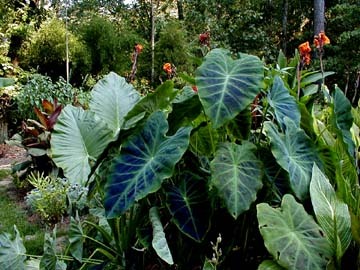 This is one of the most common elephant ears. It has big leaves that have a beautiful bluish-black pattern. It can grow from 3 to 6 feet tall with a similar spread. It prefers dappled sun with moist soil. Mine returns each spring with just a light mulch.